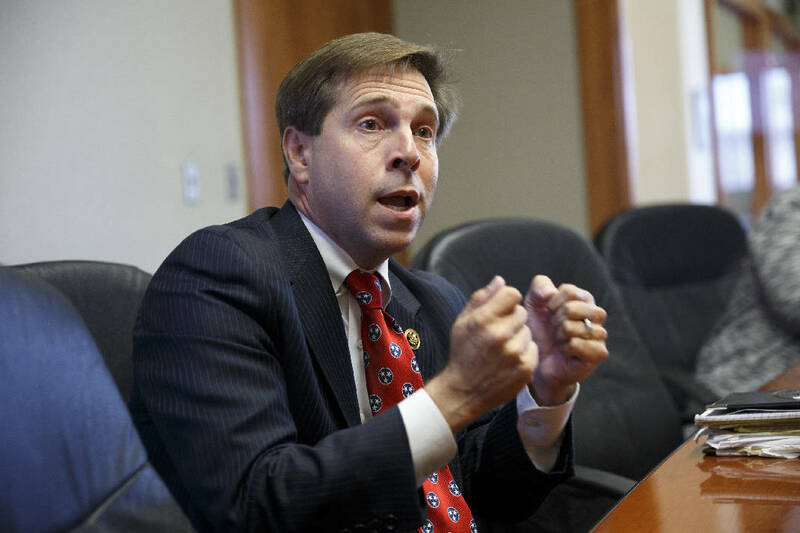 The Chattanooga Free Press editorial page believe U.S. Rep. Chuck Fleischmann deserves a fourth term in office. It's time to buckle our seat belts and prepare for the next four years of a president at least half the country will detest. After a campaign that lasted at least a year and a half, a campaign in which the two major party candidates are the most disliked in modern history, Tuesday is decision day. Americans, if not voting for an inconsequential third-party candidate or staying at home, will choose between a former first lady, inconsequential senator and disastrous secretary of state in Hillary Clinton and a flawed businessman and reality television show host who has never held elected office in Donald Trump. It's enough to make one want to bury one's head in the sand for four years, but we urge citizens to pursue the better angels of their nature and participate in the process. After all, no feeling must be quite as impotent as seeing something good or bad happen in the country and knowing you had the power to endorse it or try to stop it. As an editorial page, we did not endorse the Republican candidate for president because we don't feel he meets the conservative standards the Chattanooga Free Press has long stood for. Yet, we believe the Democratic candidate, given the many scandals in which she has been involved, her multiple obfuscations about her actions and her current status of being under investigation by the FBI, does not merit endorsement or vote. Instead, we would urge those who believe as we do to vote their consciences. Neither candidate is perfect, and both are likely to have four years of the most partisan opposition the country has ever seen. Nevertheless, we believe it would be inconsistent for anyone who believes as this page has in smaller government, a free market economy, lower taxes, less regulation and family values to vote for the Democratic presidential candidate. With her, it's guaranteed you'll get none of those things. Voters should ask themselves, as Ronald Reagan did the country in 1980, if they believe things are better off than they were four years ago — when Barack Obama was elected to his second term. - Is the world a safer place? - Is the United States at peace both internally and externally? - Was the Iran agreement a good idea? - Is the economy doing as well as it should be? - Have wage increases kept pace with demands on your money? - Do you have more personal liberty? If your answers are yeses, you'll vote for Clinton; if they're not, you should look elsewhere. The consequence are too important to sit at home. Vote as if your country depends on it. In fact, it does. - In the U.S. House, we are delighted to endorse U.S. Rep. Chuck Fleischmann, R-Chattanooga, for a fourth term in Congress. He has worked hard for the interests of Tennessee's 3rd District, especially in Chattanooga and Oak Ridge, and has a coveted place on the House Appropriations Committee. His opponent, Melody Shekari, has had very little real-world experience outside of graduate school and law school and has made little splash on the campaign trail. * In the Tennessee Senate, we strongly feel voters of District 10 should re-elect Todd Gardenhire. Since going to Nashville, the retired Chattanooga financial adviser has worked to improve education for all Tennesseans, pushed to allow children born in the U.S. of immigrant parents to receive in-state tuition at state colleges and universities, fought for lower taxes and worked to increase conditions for businesses. His opponent, former University of Tennessee adjunct professor Khristy Wilkinson, is an advocate of big government solutions such as a $15 minimum wage and universal pre-kindergarten that we don't believe work in a struggling economy. * In the Hamilton County delegation of the Tennessee House, only District 27 Rep. Patsy Hazlewood, R-Signal Mountain, and District 30 Rep. Marc Gravitt, R-East Ridge, have general election opponents. However, none of those opponents are campaigning or raising money, so we enthusiastically suggest re-election for the two first-term incumbents. * District 28 Rep. JoAnn Favors, D-Chattanooga, and District 29 Rep. Mike Carter, R-Ooltewah, both had August primary opponents and have no general election opponents, and District 26 Rep. Gerald McCormick, R-Hixson, had no opposition in the primary and has no opposition in the general election. We believe all three deserve courtesy votes. * In a Hamilton County Commission special election race, we have endorsed independent candidate Joe Smith. We believe his varied real-world skills and coalition-building demeanor can help the often fractious body find focus. We have no quarrel with Smith's opponent, Republican Greg Martin, and would like for him to keep his seat on the Hamilton County Board of Education to provide that entity the business sense it has lacked in the past as a rubber stamp for the school district's central office. Polls are open Tuesday from 8 a.m. to 8 p.m.